Looking for a used Volkswagen in the Tampa, FL area? 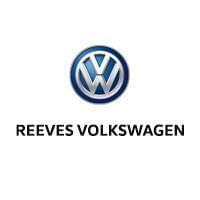 Be sure to check out the extensive used VW inventory at Reeves Volkswagen. When you choose a used car, you can expect a lower price tag, more variety in your options, less depreciation, and less worry about wear and tear, and so much more. We even have used Volkswagen special offers to sweeten the deal even further. If you’re in the Orlando area, make your way to our dealership for a test drive today and feel free to contact us with any questions! Excellent Condition. Heated Leather Seats, Navigation, Satellite Radio, iPod/MP3 Input, Keyless Start, Premium Sound System, Turbo Charged, Alloy Wheels, Back-Up Camera, All Wheel Drive. KEY FEATURES INCLUDE Leather Seats, Navigation, Heated Driver Seat, Back-Up Camera, Turbocharged, Premium Sound System, Satellite Radio, iPod/MP3 Input, Keyless Start, Dual Zone A/C, Brake Actuated Limited Slip Differential, Smart Device Integration, Lane Keeping Assist, Blind Spot Monitor, Cross-Traffic Alert Rear Spoiler, MP3 Player, All Wheel Drive, Onboard Communications System, Aluminum Wheels. EXCELLENT SAFETY FOR YOUR FAMILY Child Safety Locks, Electronic Stability Control, Brake Assist, 4-Wheel ABS, 4-Wheel Disc Brakes, Tire Pressure Monitoring System BUY FROM AN AWARD WINNING DEALER Welcome to Reeves Import Motorcars, a family owned and operated business since 1971. On behalf of our staff, thank you for visiting us on the Web and giving us an opportunity to acquaint you with our dealership. Our commitment to perfection is exceeded only by our resolve to offer you the highest levels of guest services in the luxury automotive industry. Our professional and well trained staff is ready to assist you with your new or pre-owned automotive needs. While every reasonable effort is made to ensure the accuracy of this information, we are not responsible for any errors or omissions contained on these pages. All offers are mutually exclusive. All vehicles subject to prior sale. Please verify any informa Please confirm the accuracy of the included equipment by calling us prior to purchase. Excellent Condition. Heated Seats, Bluetooth, CD Player, Brake Actuated Limited Slip Differential, Turbo Charged, Alloy Wheels, iPod/MP3 Input, Satellite Radio. KEY FEATURES ON THIS VOLKSWAGEN CC INCLUDE MP3 Player, Aluminum Wheels, Remote Trunk Release, Keyless Entry, Child Safety Locks. VOLKSWAGEN CC IS BEST IN CLASS The CC is a more stylish and refined alternative to family sedans like the Honda Accord, Hyundai Sonata and Passat, while a loaded-up CC can match entry-level luxury-branded vehicles like the Acura TL, Audi A4 and Infiniti G Sedan. For the right kind of buyer, this VW 'relic' will be just the thing. -- Edmunds. Great Gas Mileage: 31 MPG Hwy. WHO WE ARE Welcome to Reeves Import Motorcars, a family owned and operated business since 1971. On behalf of our staff, thank you for visiting us on the Web and giving us an opportunity to acquaint you with our dealership. Our commitment to perfection is exceeded only by our resolve to offer you the highest levels of guest services in the luxury automotive industry. Our professional and well trained staff is ready to assist you with your new or pre-owned automotive needs. While every reasonable effort is made to ensure the accuracy of this information, we are not responsible for any errors or omissions contained on these pages. All offers are mutually exclusive. All vehicles subject to prior sale. Please verify any informa Fuel economy calculations based on original manufacturer data for trim engine configuration. Please confirm the accuracy of the included equipment by calling us prior to purchase. LOW MILES - 37,154! NAV, Heated Seats, Keyless Start, CD Player, Dual Zone A/C, Smart Device Integration, Brake Actuated Limited Slip Differential, Turbo, Alloy Wheels, ROADSIDE ASSISTANCE KIT, iPod/MP3 Input, Satellite Radio, Back-Up Camera. KEY FEATURES INCLUDE Navigation, Heated Driver Seat, Back-Up Camera, Turbocharged, Satellite Radio, iPod/MP3 Input, CD Player, Keyless Start, Dual Zone A/C, Brake Actuated Limited Slip Differential, Smart Device Integration, Heated Seats MP3 Player, Onboard Communications System, Aluminum Wheels, Keyless Entry, Remote Trunk Release. OPTION PACKAGES ROADSIDE ASSISTANCE KIT booster cables, warning triangle, LED flashlight, multi-tool, work gloves, PVC tape, blanket, poncho, whistle, cable ties and bandages. Volkswagen Sport with NIGHT BLUE METALLIC exterior and DESERT BEIGE/ BLACK LEATHERETTE interior features a 4 Cylinder Engine with 200 HP at 5100 RPM*. EXCELLENT SAFETY FOR YOUR FAMILY Child Safety Locks, Electronic Stability Control, Brake Assist, 4-Wheel ABS, Tire Pressure Monitoring System, 4-Wheel Disc Brakes WHO WE ARE Welcome to Reeves Import Motorcars, a family owned and operated business since 1971. On behalf of our staff, thank you for visiting us on the Web and giving us an opportunity to acquaint you with our dealership. Our commitment to perfection is exceeded only by our resolve to offer you the highest levels of guest services in the luxury automotive industry. Our professional and well trained staff is ready to assist you with your new or pre-owned automotive needs. While every reasonable effort is made to ensure the accuracy of this information, we are not responsible for any errors or omissions contained on these pages. All offers are mutually exclusive. All vehicles subject to prior sale. Please verify any informa Horsepower calculations based on trim engine configuration. Please confirm the accuracy of the included equipment by calling us prior to purchase. LOW MILES - 51! Moonroof, Heated Seats, CD Player, Dual Zone A/C, Smart Device Integration, iPod/MP3 Input, Turbo Charged Engine, Aluminum Wheels, Satellite Radio, Back-Up Camera. KEY FEATURES INCLUDE Heated Driver Seat, Back-Up Camera, Turbocharged, Satellite Radio, iPod/MP3 Input, CD Player, Dual Zone A/C, Smart Device Integration, Heated Seats MP3 Player, Sunroof, Onboard Communications System, Aluminum Wheels, Keyless Entry. Volkswagen 1.8T SE with PLATINUM GRAY METALLIC exterior and TITAN BLACK LEATHERETTE interior features a 4 Cylinder Engine with 170 HP at 4800 RPM*. EXCELLENT SAFETY FOR YOUR FAMILY Child Safety Locks, Electronic Stability Control, Brake Assist, 4-Wheel ABS, 4-Wheel Disc Brakes, Tire Pressure Monitoring System BUY FROM AN AWARD WINNING DEALER Welcome to Reeves Import Motorcars, a family owned and operated business since 1971. On behalf of our staff, thank you for visiting us on the Web and giving us an opportunity to acquaint you with our dealership. Our commitment to perfection is exceeded only by our resolve to offer you the highest levels of guest services in the luxury automotive industry. Our professional and well trained staff is ready to assist you with your new or pre-owned automotive needs. While every reasonable effort is made to ensure the accuracy of this information, we are not responsible for any errors or omissions contained on these pages. All offers are mutually exclusive. All vehicles subject to prior sale. Please verify any informa Horsepower calculations based on trim engine configuration. Please confirm the accuracy of the included equipment by calling us prior to purchase. Excellent Condition. Moonroof, Heated Leather Seats, Multi-CD Changer, Dual Zone A/C, Brake Actuated Limited Slip Differential, iPod/MP3 Input, Aluminum Wheels, Turbo Charged Engine, Satellite Radio. VOLKSWAGEN PASSAT: UNMATCHED DEPENDABILITY 4 Star Driver Front Crash Rating. 5 Star Driver Side Crash Rating. 4 Star Passenger Front Crash Rating. KEY FEATURES ON THIS PASSAT INCLUDE KEY FEATURES ON THIS PASSAT INCLUDE: Leather Seats, Heated Driver Seat, Turbocharged, Satellite Radio, iPod/MP3 Input, Multi-CD Changer, Dual Zone A/C, Brake Actuated Limited Slip Differential, Heated Seats, Heated Leather Seats MP3 Player, Sunroof, Aluminum Wheels, Keyless Entry, Remote Trunk Release. VOLKSWAGEN PASSAT IS BEST IN CLASS The Passat is class-leading in standard features. Get treated with multi-adjustable driver power seats, heated front seats, and front power lumbar support. Features not standard on the Honda Accord, Mazda6 and Ford Fusion. Great Gas Mileage: 28 MPG Hwy. WHO WE ARE Welcome to Reeves Import Motorcars, a family owned and operated business since 1971. On behalf of our staff, thank you for visiting us on the Web and giving us an opportunity to acquaint you with our dealership. Our commitment to perfection is exceeded only by our resolve to offer you the highest levels of guest services in the luxury automotive industry. Our professional and well trained staff is ready to assist you with your new or pre-owned automotive needs. While every reasonable effort is made to ensure the accuracy of this information, we are not responsible for any errors or omissions contained on these pages. All offers are mutually exclusive. All vehicles subject to prior sale. Please verify any informa Fuel economy calculations based on original manufacturer data for trim engine configuration. Please confirm the accuracy of the included equipment by calling us prior to purchase. Porsche Certified, Excellent Condition, LOW MILES - 12,690! Bluetooth, CD Player, Alloy Wheels, iPod/MP3 Input, . KEY FEATURES INCLUDE iPod/MP3 Input, Bluetooth, CD Player. Rear Spoiler, MP3 Player, Aluminum Wheels, Keyless Entry, Rollover Protection System. Porsche Boxster with Carmine Red exterior and Black interior features a Flat 6 Cylinder Engine with 265 HP at 6700 RPM*. . PURCHASE WITH CONFIDENCE 111+ Point Inspection and Reconditioning performed by Factory Trained Technicians, 2 Year / Unlimited Mileage Porsche Roadside Assistance, Trip-Interruption Services, Balance of original 4-year/50,000-mile new car warranty, 2 Year / Unlimited Mile Warranty from the date of sale if new vehicle limited warranty has expired, All coverage expires at 8 years/100,000 total miles, NO deductible, transferable to subsequent owners EXCELLENT SAFETY FOR YOUR FAMILY Electronic Stability Control, Brake Assist, 4-Wheel ABS, Tire Pressure Monitoring System, 4-Wheel Disc Brakes VISIT US TODAY Welcome to Reeves Import Motorcars, a family owned and operated business since 1971. On behalf of our staff, thank you for visiting us on the Web and giving us an opportunity to acquaint you with our dealership. Our commitment to perfection is exceeded only by our resolve to offer you the highest levels of guest services in the luxury automotive industry. Our professional and well trained staff is ready to assist you with your new or pre-owned automotive needs. While every reasonable effort is made to ensure the accuracy of this information, we are not responsible for any errors or omissions contained on these pages. All offers are mutually exclusive. All vehicles subject to prior sale. Please verify any informa Horsepower calculations based on trim engine configuration. Please confirm the accuracy of the included equipment by calling us prior to purchase. BMW Certified, ONLY 4,459 Miles! NAV, Sunroof, Heated Seats, Rear Air, Back-Up Camera, Dual Zone A/C, Keyless Start, iPod/MP3 Input, HEATED FRONT SEATS, PANORAMIC MOONROOF, WHEELS: 19 X 7.5 V-SPOKE (STYLE 692... Power Liftgate, Turbo, NAVIGATION SYSTEM. KEY FEATURES INCLUDE Power Liftgate, Rear Air, Back-Up Camera, Turbocharged, iPod/MP3 Input, Keyless Start, Dual Zone A/C. Rear Spoiler, Onboard Communications System, Privacy Glass, Keyless Entry, Remote Trunk Release. OPTION PACKAGES NAVIGATION SYSTEM Remote Services, Advanced Real-Time Traffic Information, Apple CarPlay Compatibility, PANORAMIC MOONROOF, WHEELS: 19 X 7.5 V-SPOKE (STYLE 692) Tires: 245/50R19 All-Season Run-Flat, HEATED FRONT SEATS. BMW sDrive30i with Terra Brown Metallic exterior and Canberra Beige/Black SensaTec interior features a 4 Cylinder Engine with 248 HP at 5200 RPM*. Unlimited Miles for 1-Year plus the balance of original new vehicle warranty (4-Year/50,000-Miles), 24-Hour BMW Roadside Assistance, Comprehensive Inspection and Reconditioning, Trip-Interruption Services, Trip-Planning Services WHO WE ARE Welcome to Reeves Import Motorcars, a family owned and operated business since 1971. On behalf of our staff, thank you for visiting us on the Web and giving us an opportunity to acquaint you with our dealership. Our commitment to perfection is exceeded only by our resolve to offer you the highest levels of guest services in the luxury automotive industry. Our professional and well trained staff is ready to assist you with your new or pre-owned automotive needs. While every reasonable effort is made to ensure the accuracy of this information, we are not responsible for any errors or omissions contained on these pages. All offers are mutually exclusive. All vehicles subject to prior sale. Please verify any informa Horsepower calculations based on trim engine configuration. Please confirm the accuracy of the included equipment by calling us prior to purchase. Excellent Condition. Leather, Moonroof, iPod/MP3 Input, Back-Up Camera, Keyless Start, Smart Device Integration, Dual Zone A/C, Turbo Charged Engine, Aluminum Wheels, 4x4, Power Liftgate, Panoramic Roof. KEY FEATURES INCLUDE Leather Seats, Panoramic Roof, Power Liftgate, Back-Up Camera, Turbocharged, iPod/MP3 Input, Keyless Start, Dual Zone A/C, Smart Device Integration Rear Spoiler, MP3 Player, Sunroof, 4x4, Onboard Communications System. Land Rover HSE with Santorini Black Metallic exterior and Ebony/Ebony interior features a 4 Cylinder Engine with 240 HP at 5800 RPM*. EXCELLENT SAFETY FOR YOUR FAMILY Child Safety Locks, Electronic Stability Control, Brake Assist, 4-Wheel ABS, 4-Wheel Disc Brakes, Tire Pressure Monitoring System VISIT US TODAY Welcome to Reeves Import Motorcars, a family owned and operated business since 1971. On behalf of our staff, thank you for visiting us on the Web and giving us an opportunity to acquaint you with our dealership. Our commitment to perfection is exceeded only by our resolve to offer you the highest levels of guest services in the luxury automotive industry. Our professional and well trained staff is ready to assist you with your new or pre-owned automotive needs. While every reasonable effort is made to ensure the accuracy of this information, we are not responsible for any errors or omissions contained on these pages. All offers are mutually exclusive. All vehicles subject to prior sale. Please verify any informa Horsepower calculations based on trim engine configuration. Please confirm the accuracy of the included equipment by calling us prior to purchase. BMW Certified, LOW MILES - 19,228! Navigation, Heated Seats, Sunroof, Dual Zone A/C, Rear Air, Turbo Charged, Alloy Wheels, ENHANCED USB & BLUETOOTH W/SMARTPHONE... harman/kardon SURROUND SOUND SYSTEM, HEATED FRONT SEATS, DRIVER ASSISTANCE PACKAGE, TECHNOLOGY PACKAGE, PREMIUM PACKAGE, M SPORT PACKAGE. KEY FEATURES INCLUDE Rear Air, Turbocharged, Dual Zone A/C Sunroof, Onboard Communications System, Chrome Wheels, Steering Wheel Controls, Electronic Stability Control. OPTION PACKAGES TECHNOLOGY PACKAGE Head-Up Display, Navigation System, Remote Services, Advanced Real-Time Traffic Information, BMW Online & BMW Apps, Instrument Cluster w/Extended Contents, M SPORT PACKAGE Alum Hexagon Trim w/Estoril Blue Matte Highlight, Shadowline Exterior Trim, Aerodynamic Kit, M Sport Suspension, Wheels: 18 x 8 Fr & 18 x 8.5 Rr (Style 400M) Star-spoke, Increased Top Speed Limiter, Tires: P225/45R18 Fr & P255/40R18 Rr Mixed Summer, M Steering Wheel, M Sport Pkg, PREMIUM PACKAGE Satellite Radio, Comfort Access Keyless Entry, Lumbar Support, DRIVER ASSISTANCE PACKAGE Rear View Camera, Park Distance Control OUR OFFERINGS Welcome to Reeves Import Motorcars, a family owned and operated business since 1971. On behalf of our staff, thank you for visiting us on the Web and giving us an opportunity to acquaint you with our dealership. Our commitment to perfection is exceeded only by our resolve to offer you the highest levels of guest services in the luxury automotive industry. Our professional and well trained staff is ready to assist you with your new or pre-owned automotive needs. While every reasonable effort is made to ensure the accuracy of this information, we are not responsible for any errors or omissions contained on these pages. All offers are mutually exclusive. All vehicles subject to prior sale. Please verify any informa Horsepower calculations based on trim engine configuration. Please confirm the accuracy of the included equipment by calling us prior to purchase. BMW Certified, GREAT MILES 4,745! NAV, Sunroof, Heated Seats, Power Liftgate, Rear Air, CD Player, iPod/MP3 Input, Back-Up Camera, All Wheel Drive, HEATED FRONT SEATS, PANORAMIC MOONROOF, WHEELS: 19 X 7.5 (STYLE 692), Turbo, NAVIGATION SYSTEM, PARK DISTANCE CONTROL. KEY FEATURES INCLUDE Power Liftgate, Rear Air, Back-Up Camera, Turbocharged, iPod/MP3 Input, CD Player, Keyless Start, Dual Zone A/C. Rear Spoiler, All Wheel Drive, Onboard Communications System, Privacy Glass, Remote Trunk Release. OPTION PACKAGES NAVIGATION SYSTEM Remote Services, Advanced Real-Time Traffic Information, PANORAMIC MOONROOF, PARK DISTANCE CONTROL, WHEELS: 19 X 7.5 (STYLE 692) V-spoke, Bi-color, Ferric Grey, Tires: 245/50R19 AS Run-Flat, HEATED FRONT SEATS. BUY WITH CONFIDENCE Unlimited Miles for 1-Year plus the balance of original new vehicle warranty (4-Year/50,000-Miles), 24-Hour BMW Roadside Assistance, Comprehensive Inspection and Reconditioning, Trip-Interruption Services, Trip-Planning Services EXCELLENT SAFETY FOR YOUR FAMILY Child Safety Locks, Electronic Stability Control VISIT US TODAY Welcome to Reeves Import Motorcars, a family owned and operated business since 1971. On behalf of our staff, thank you for visiting us on the Web and giving us an opportunity to acquaint you with our dealership. Our commitment to perfection is exceeded only by our resolve to offer you the highest levels of guest services in the luxury automotive industry. Our professional and well trained staff is ready to assist you with your new or pre-owned automotive needs. While every reasonable effort is made to ensure the accuracy of this information, we are not responsible for any errors or omissions contained on these pages. All offers are mutually exclusive. All vehicles subject to prior sale. Please verify any informa Horsepower calculations based on trim engine configuration. Please confirm the accuracy of the included equipment by calling us prior to purchase. Why Shop for a Used Car? Once you decide which type of model is model is right for you, explore your options at Reeves Volkswagen! In addition to classics like the used Passat, and used VW Beetle, we also have a variety of used BMW, used Audi, and used Porsche options if you’re looking for a used luxury car. After you’ve taken a look at our VW specials, be sure to visit us near Clearwater! We can’t wait to help you find the used vehicle that’s right for you and all your Tampa adventures.